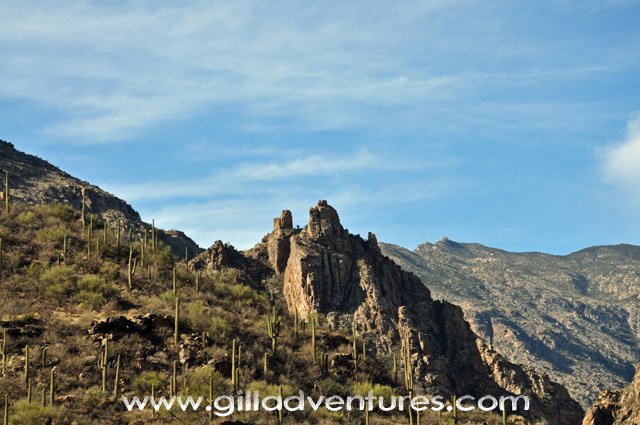 Sabino Canyon is very accessible, as a tram (open bus) is available to carry visitors to the upper canyon. The very young and the very old, and those with impaired mobility, are able to enjoy this place where many of the other canyons in the Santa Catalinas and around Tucson are not easily accessible to them. The tram also gives access to the high country to hikers (like us) who don't have time to hike the extra lower miles. Photos were taken with a Nikon D90, and are available in high resolution.